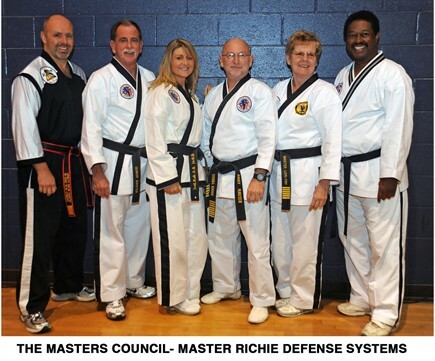 founded in the year 2000 by Chief Master Randy Richie, 9th Degree Black Belt. chaired by Grand Master Richie and Senior Master Fry. The Master Council as Executive Vice-president and Director of Instruction and Operations. to the preservation of martial arts traditions and safe and professional instruction. instructors and students to share ideas, defensive techniques, and gather regularly to train. Senior Master Charlie Fry, 7th Degree, and Senior Master Michael Boyce, 6th Degree. "Tradition - Knowledge - Integrity"